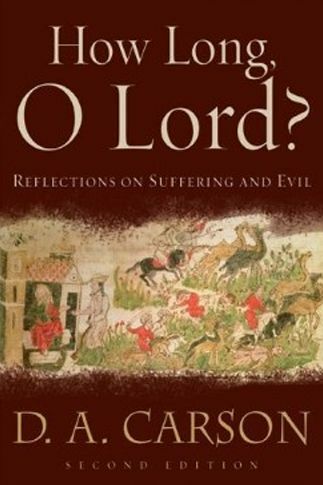 Since Christmas, I have been reviewing nine books on the theme of Christian suffering. The rise of the modern health, wealth and prosperity heresy has robbed many Christians of their ability to deal with suffering because they are not adequately prepared and armed with Scripture to meet it. I personally have gained a lot from this study. As the title suggests, the book centers on Romans 8:28, “And we know that for those who love God all things work together for good”. This is a typical Puritan book, both rich and practical. 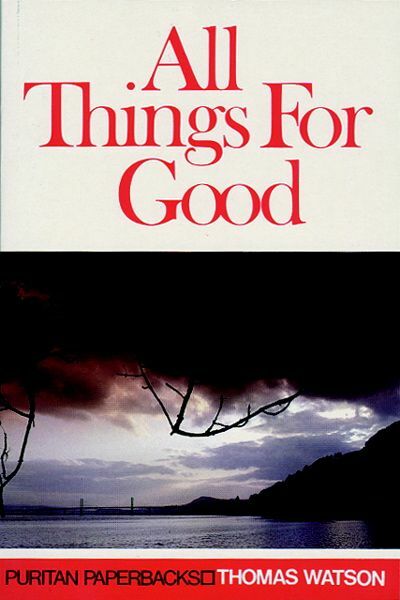 Watson analyses how God weaves all life’s experiences, good and bad, into an intricate tapestry which ultimately works for the good of all who love God. He shows how affliction teaches us to know ourselves, the awfulness of sin and how to conform ourselves to Christ, in all aspects of life. He teaches about God’s power and our effectual calling. Almost every paragraph is backed up by Scripture and is very uplifting. I like this book and heartily recommend it. While doctrinally sound, the archaic verbosity made it, for me, a difficult read. However, there are true gems buried in the text. William Bridge sets out why God’s comfort is real, passing all understanding, quoting from Psalms, Jeremiah, Job and the Valley of Achor. He shows how God gives encouragement and comfort in times of discouragement. He tackles diverse topics such as sin and the merits of Christ’s blood, the miscarriage of duties, the lack of assurance, temptation, desertion, affliction, unserviceableness and discouragements. The final chapter, headed “The Cure by Faith in Jesus Christ”, is rich in scriptural references and made the book worth persevering with. However, this is not a book I would put into the hands of a young person or anyone who is depressed. The title is a misnomer. It is a book of all comfort and is very easy to read. Power discusses the God of comfort, hindrances to receiving comfort and help for accessing comfort. 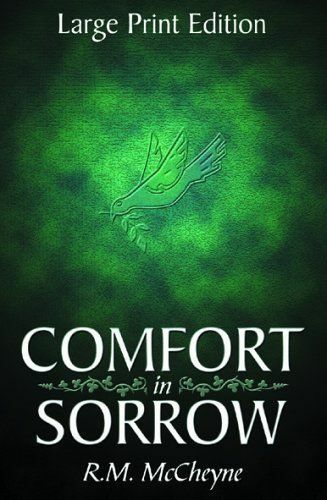 There is a chapter dealing with the handling of pain which is poignant and consoling, citing from the Psalms. Power turns our gaze firmly onto the suffering Saviour and also examines the role of the carer. He goes on to expound the love, presence, strength and character of God. The final chapter explores death. The closing thought of the book is that we are not going to a grave, but rather, we are going home to our Father. We depart to live. 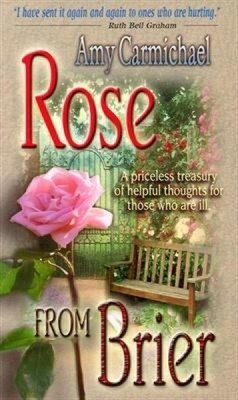 This is an inspiring book and would be a good choice to give to someone with a terminal condition. This is short, very easy to read and most enjoyable. McCheyne expounds John chapter eleven, the story of Lazarus. It teaches the reader to learn to live by faith and not by sight, to see Christ in all His power and glory and to strengthen our faith. He purports that when God gives a promise, He tries our faith. He demonstrates that even death cannot separate us from His love and deals with the absolute certainty that all dead believers will live. He discusses how God takes His people through various trials and consolations, so we in turn, can comfort others, while demonstrating that Christ, Himself, is the one true source of comfort. This book is highly recommended. Every Christian should read this book. This is a book written from the heart of one who knows what real suffering is. The insights and understanding she has are gained from her suffering, form a unique perspective on the Gospel and on grace. 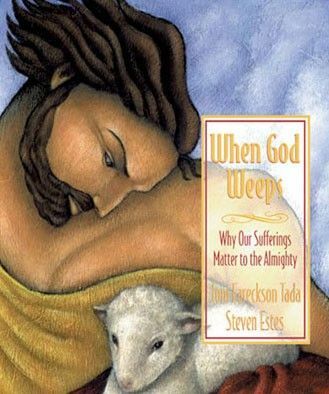 Estes supplies the theology and Tada makes the suffering Saviour shine brightly and exquisitely from every page. Suffering, she claims, brings discernment and knowledge. It teaches us God’s statutes and creates a broken and contrite spirit. She points us beyond our suffering to our inheritance in Christ and introduces us to the heart of the Father. If you read only one book this year, let it be this one. This is a book, obviously written from the heart of a caring pastor and deals with all the major issues affecting the welfare of the sheep he shepherds. He explains that suffering affects everybody at some time and to bury it in diversion is the counsel of despair. From man’s alienation from God, sad consequences flow. He reminds the reader that this time of travail will end and he points us forward to the glorious hope we have in Christ Jesus. H.M. Carson talks about the purpose of pain and its ability to set our affections on things above. He also demonstrates how the sacrifice of praise and thanksgiving lifts the heart in times of discouragement and depression. He deals with a range of issues such as bereavement, living with mental or physical handicap, an unhappy marriage and depression. He uses Job, Jeremiah and Paul as case studies to illustrates his points. I am going to quote from the book, something I found put into practice by this church over the last twelve months, “As members of the body of Christ, it is not only our responsibility to give from our strength, but our privilege to receive in our weakness. We need to see our membership as a source of help in trouble”. Carson exhorts the Christian to rejoice in hope, be patient in tribulation and continue instant in prayer. This is an encouraging book and is highly recommended. This explains in theological terms the doctrine of suffering, however, this is no dry theological book, quite the opposite. Again, this is from the heart of a caring pastor, who seeks to equip the Christian with sound doctrine that will give him assurance and help him to stand when confronted by pain and tragedy. He tells us to expect suffering, calling it a privilege, for here he tells us, Jesus said we align ourselves with the prophets. He tackles questions like God’s discipline, hell, bereavement, sickness and death, the stages of grief, why the wicked prosper, where God is in disaster, the price of sin and the evilness of evil and is full of practical reflections and counsel. Scripture never whitewashes affliction and neither does Carson. He shows the reader how to view evil and suffering and how to live by faith and covers what the bible teaches about the levels of reward in heaven and the degrees of punishment in hell. He reflects on God, always and only, being wholly committed to our good, and encourages the reader to develop a homesickness for heaven. He also asserts that the staying power of our faith is neither demonstrated nor developed, until tested by suffering. He goes on to explain that it is when we are crushed and devastated that the cross speaks most powerfully. He reminds us that when we ask “why?” Christ asked the same question on the cross. This is a must read book. 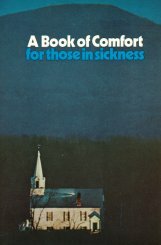 Realising that most books for the sick are written by those who enjoy good health and consequently, usually miss the mark, she set out to write her own, especially after receiving correspondence from well-meaning acquaintances, who appear to be the near kinsmen of Job’s comforters. This should teach us not to be glib. She describes times when she felt unable to pray due to overwhelming fatigue and pain and wrote with gratitude about those who upheld her at these times. Just at the time when she felt she could no longer cope, she was always found God sent her some word of comfort from a hymn, a poem, a piece of prose, a scripture and even from an appreciation of God’s creation. Indeed, she introduces each chapter with one such thing. She found enormous solace in scripture which is very illuminating. She also makes us look ahead at the glory to come. This is a woman who knows and loves her Saviour. 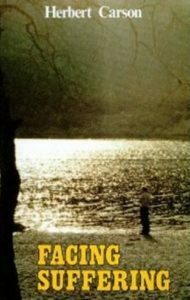 It is a simple book, but simply lovely and deceptively deep and is heartily recommended. I kept it for last, not realising who the author was. I looked at the title and thought, “I do not want to read that”. This is an amazing book. The author forewarns and prepares us for the battle of life. He seeks to arm us with God’s armour. Dr Lloyd-Jones describes the walk of faith as a refusal to panic, come what may, and how not to be controlled by circumstances. He tells us that we may never have a full explanation of what happens to us, but we know for certain that God is not unconcerned. Nothing can happen but what He allows because it is ultimately for our good. Dr Lloyd-Jones insists that the antidote to spiritual depression is the knowledge of Christ and you get that in His Word. The key to a happy life is a good knowledge of Biblical doctrine. He asserts that the Bible is a book which has been written in order that God’s people may be helped in this world and reminds us of our destiny. The Christian life is not trying to keep to a standard or vainly striving to do something. It is a question of getting ready for the place to which you are going. He not only goes into the different causes of spiritual depression, but also its cures, and the Gospel is valiantly proclaimed throughout. 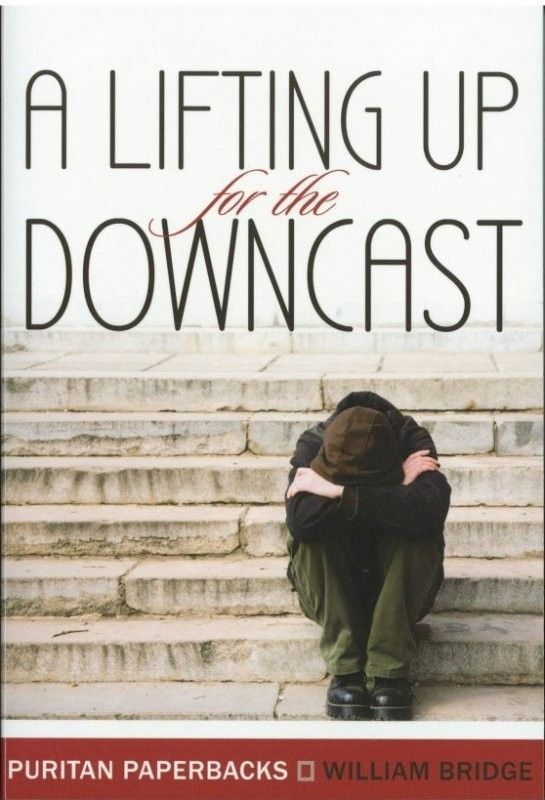 This would be a good choice for a friend who is unsaved and deserves a place on every Christian’s bookshelf.